Join us – it wouldn’t be a party without you! 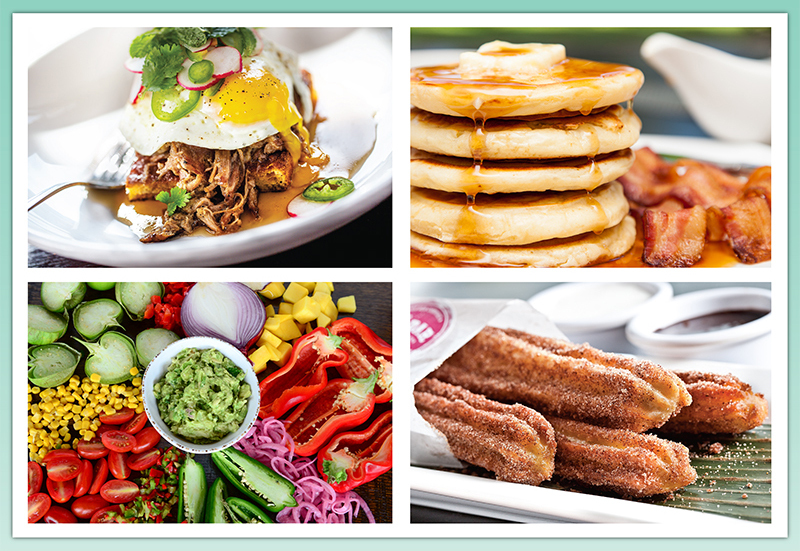 Easter brunch is coming to Paladar! Our Easter brunch buffet is $30 for adults, $12 for children age 6-12 and free for kids 5 and under (excluding tax and gratuity). Price includes sodas, coffee and teas; specialty alcoholic and non-alcoholic beverages available for additional charge. Visit our Reservations page to make a reservation for your preferred location today! Mark your calendars for Cinco de Mayo 2019! 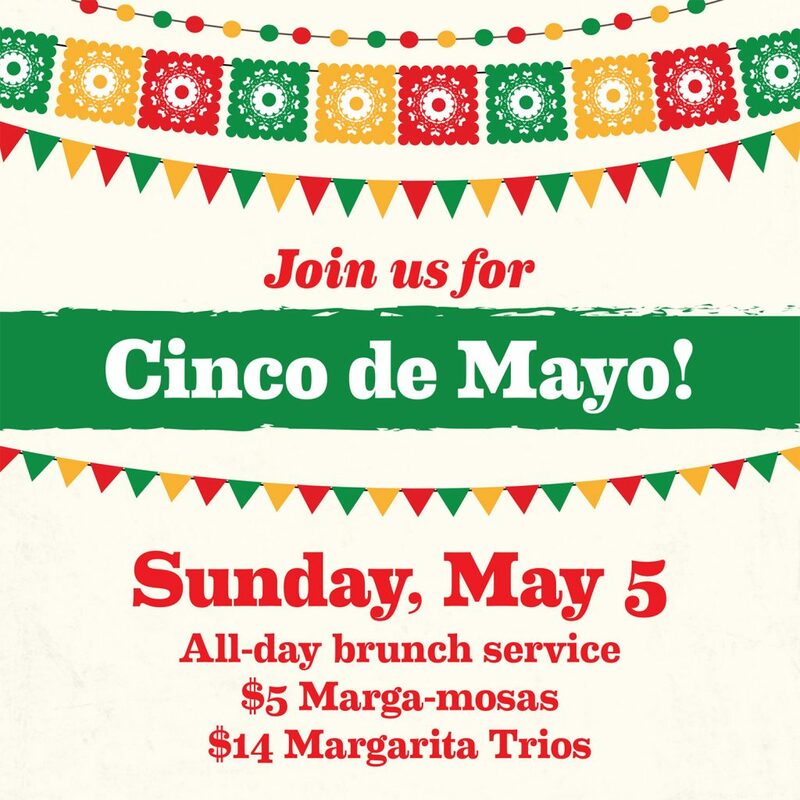 Join us on Cinco de Mayo for a day-long celebration of fun! We’re serving brunch all day long on Sunday, May 5 and are offering specialty Marga-mosas (mimosa meets tequila) for $5 that day only. We’re also featuring our new margarita flavors: cucumber-lime and strawberry-rhubarb. Don’t want to commit to just one? Try a Traditional Margarita Trio for $14 and enjoy all our margarita flavors so you can discover a new favorite. Have you discovered one of the best happy hour spots yet? 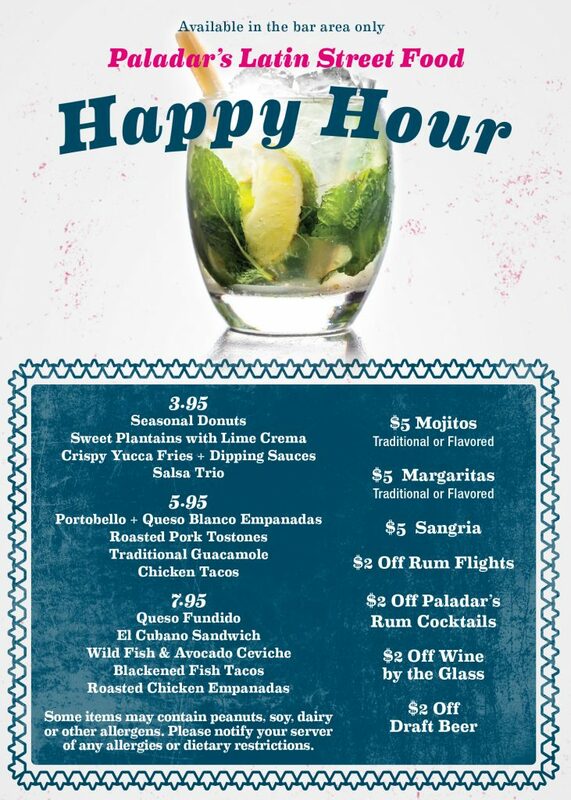 With great food and drink specials, along with late-night happy hour in select locations, raise a glass during happy hour at Paladar! Hours and offerings may vary by location, so please visit your preferred location’s page to view current happy hour deals.